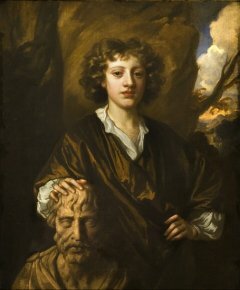 13/1/11 – Acquisition – Dulwich, Picture Gallery – The Dulwich Picture Gallery, which has just appointed a new director (see previous news item), has acquired a portrait by Peter Lely. Representing Bartholomew Beale, this portrait was purchased by Xavier Salomon, Xavier Bray’s predecessor, from the art dealer, Simon Dickinson. It forms a pair with the Young Boy as a Shepherd (ill. 2) already held at the museum. 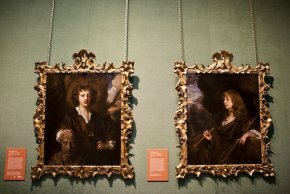 Both canvases have identical baroque frames (ill. 3) and were still together in the early 20th century as part of the Charles Fairfax Murray collection. 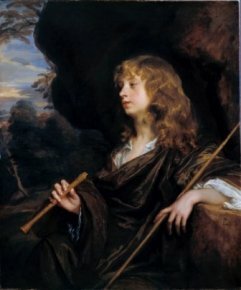 The Beale portrait was sold and then in 1911, the collector donated forty paintings to Dulwich, including the companion piece and three other Peter Lely works, as well as pieceby Mary Beale (1633-1699), the model’s mother and herself a portrait artist. The Dulwich Picture Gallery, easily accessible from central London (leaving from Victoria Station) is an exceptionally rich museum but rarely makes acquisitions. This painting, a must for the collection given its background, joins the establishment exactly one hundred years after its matching piece and on the eve of the museum’s bicentennial celebration. It was acquired for 221.000 £ thanks to several contributions including 90.000 £ from the Art Fund.